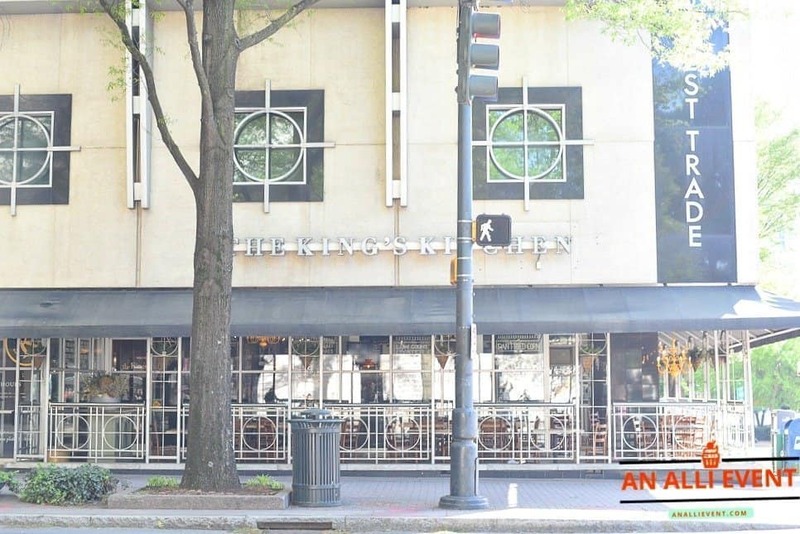 My oldest daughter recently surprised me with an early Mother’s Day gift – an uptown Charlotte Walking Food Tour. That’s North Carolina, in case you didn’t know. As you know, I’m a foodie and I’m sure my daughter will win best Mother’s Day gift ever! As a food and party blogger, I always document everything food related. A walking food tour has been on my bucket list of must-dos for a while, so to say I was excited is the understatement of the year. I found out about the walking food tour a few days beforehand. I had no idea what restaurants we would visit, so I was in for several surprises. What happens on a walking food tour? 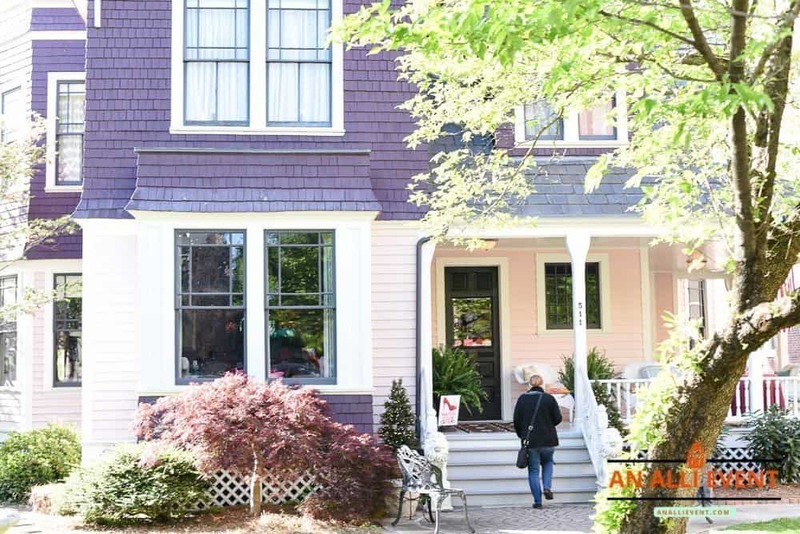 All tours are different, but ours went like this: A tour guide walks with you from one restaurant to the next, sharing tidbits of the history of Charlotte. 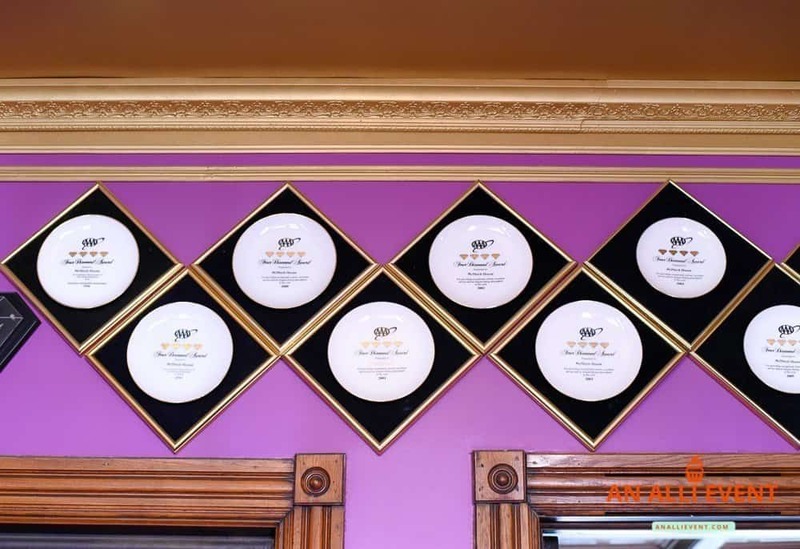 Once you arrive at the restaurant, you are greeted by the chef and served small bites – a sample or two of the food they serve, along with a little history of the restaurant. You may get to tour the kitchen and you can ask questions. 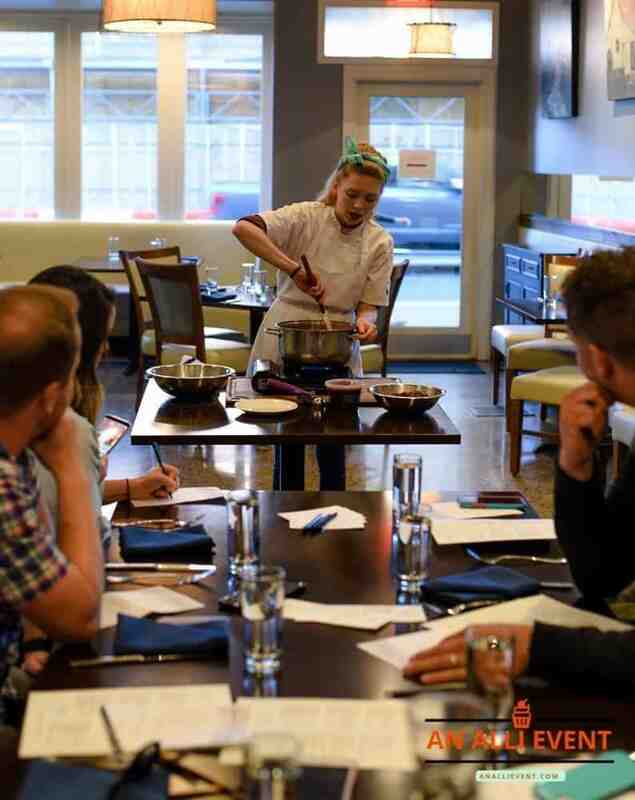 When my daughter booked the tour at feastfoodtours.com, she let them know there was a pescatarian (one who eats fish but not meat) among us along with all the other pertinent info. We had eight family members in our group. Our guide, Julie, was so sweet. Hopefully, when we do the NoDa tour, we’ll get to select her as our tour guide again. On our specific tour, the first stop is Rooster’s Kitchen. We met the chef and was invited to tour the kitchen. 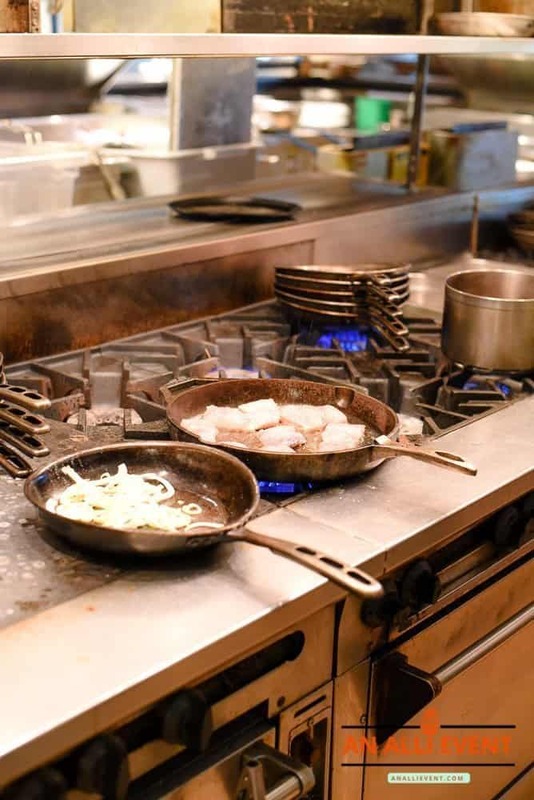 For a foodie like me, spending time in a restaurant kitchen is a little bit of heaven. But it’s really hot! Rooster’s Wood-Fired Kitchen serves American comfort food in a laid-back setting. 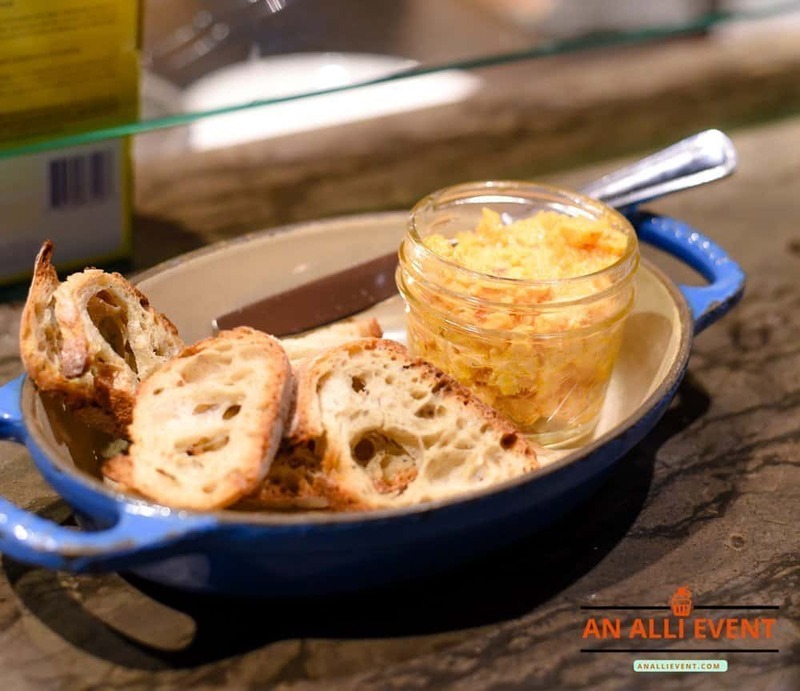 We started with crostini and pimento cheese. I’m a pimento cheese connoisseur and I have to say, it rates at the tip-top when it comes to all things pimento cheese. We watched the chef prepare our pan-seared red snapper. I kept my eye peeled to make sure the skin was crisped up and the chef did not disappoint. 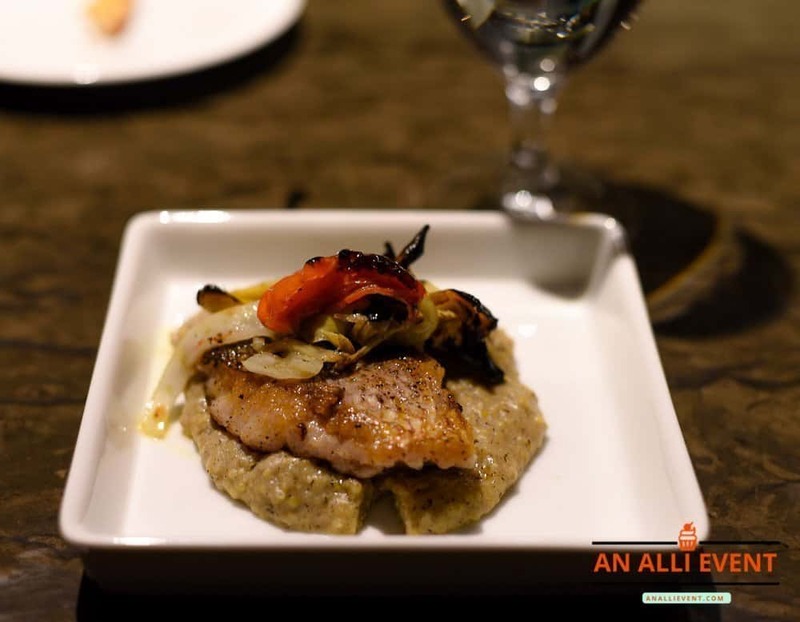 The snapper is served over buckwheat polenta. The fish was cooked to perfection and the polenta was creamy and expertly seasoned. My youngest daughter and her husband dine at Rooster’s occasionally and love it. I’ll definitely be back! 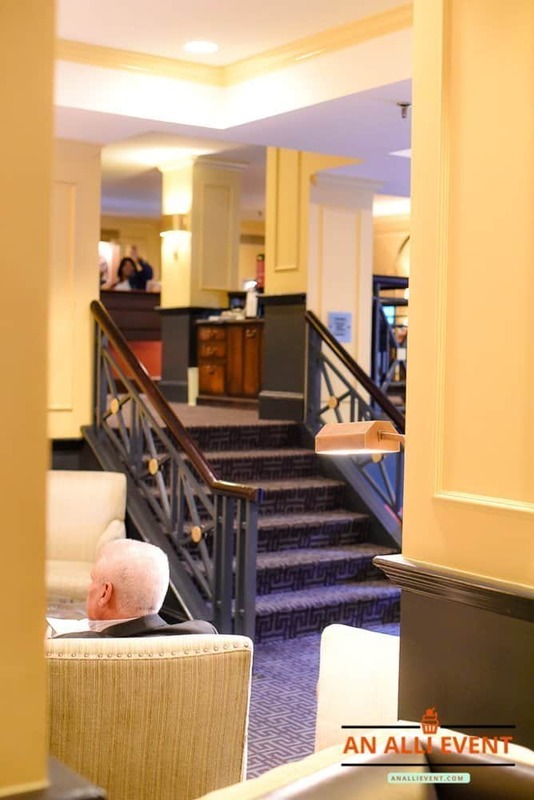 The Asbury is a modern space nestled inside the beautiful, historic Dunhill Hotel. 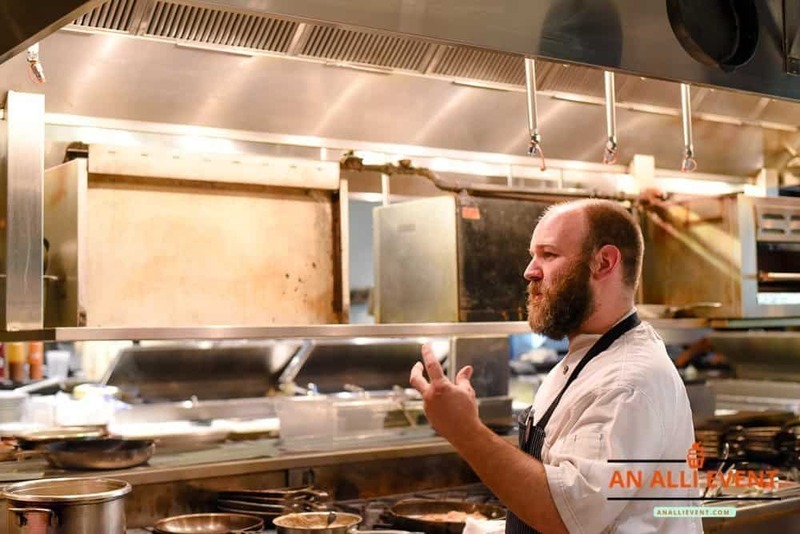 The Asbury serves rustic Southern fare made with farm-fresh ingredients. We were treated to a demonstration on how to make strawberry jam without adding pectin by the pastry chef. 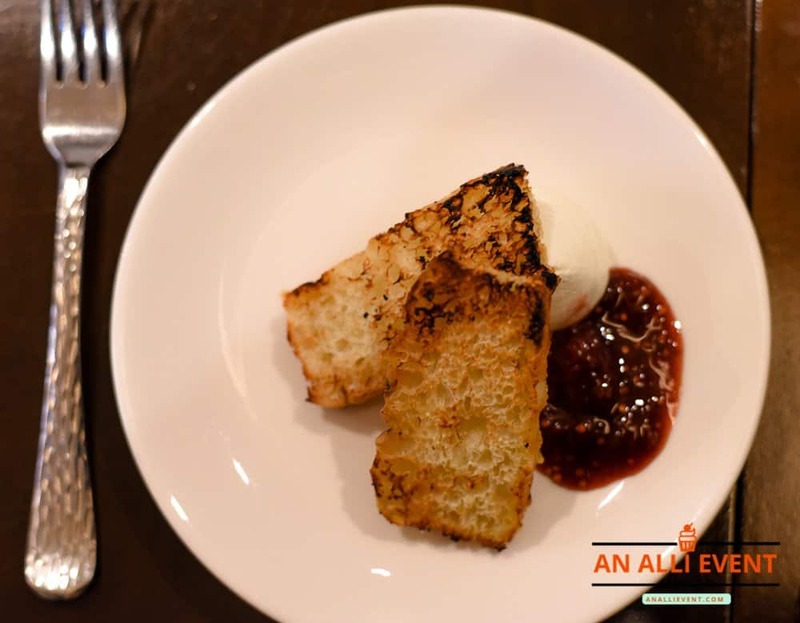 We were served crostini with a creamy goat cheese and strawberry jam. Delicious! After leaving The Asbury, my daughter and daughter-in-law couldn’t stop talking about wanting to make their own jam. I have a feeling we’re having a jam making day coming soon. I’ll be sure to blog about it. It should be a hoot! 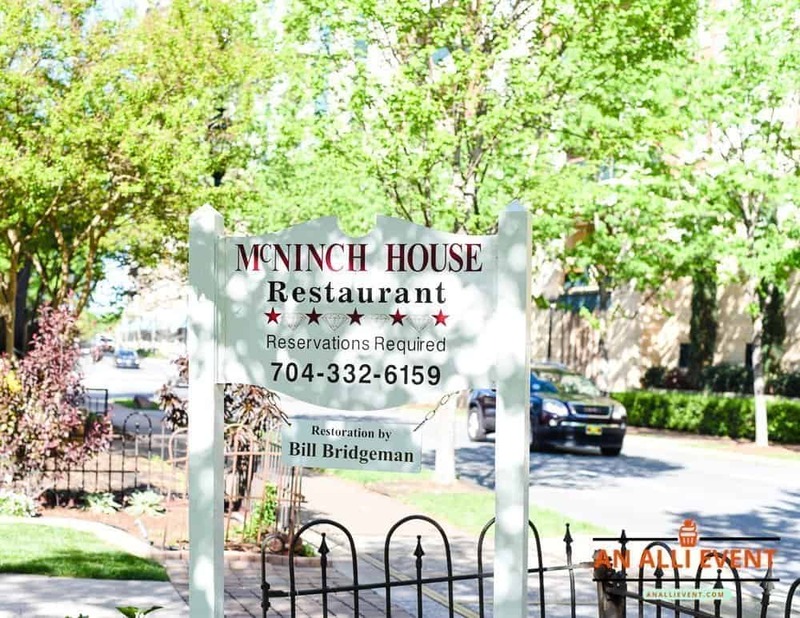 The McNinch House Restaurant is located in a lovely turn-of-the-century Victorian home in Charlotte’s historic fourth ward. This is the place to be if you’re celebrating a special occasion or if you want a memorable night out. 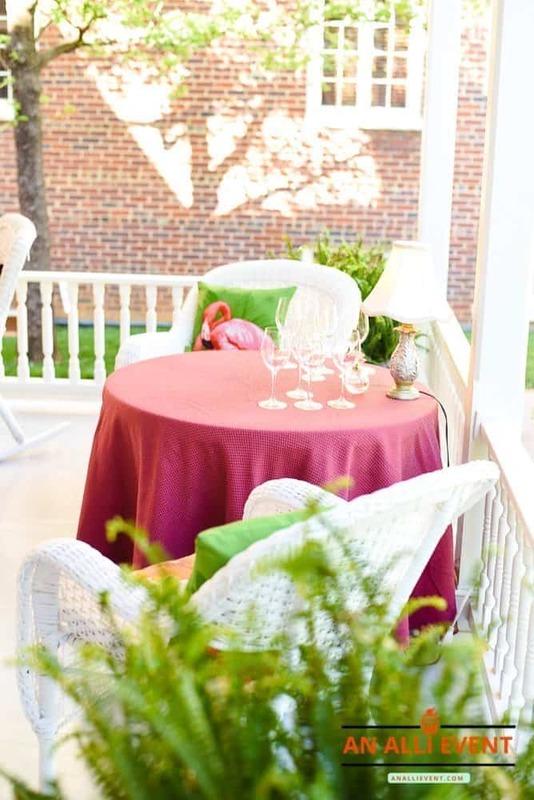 We were met at the McNinch House Restaurant by the very knowledgeable wine steward. 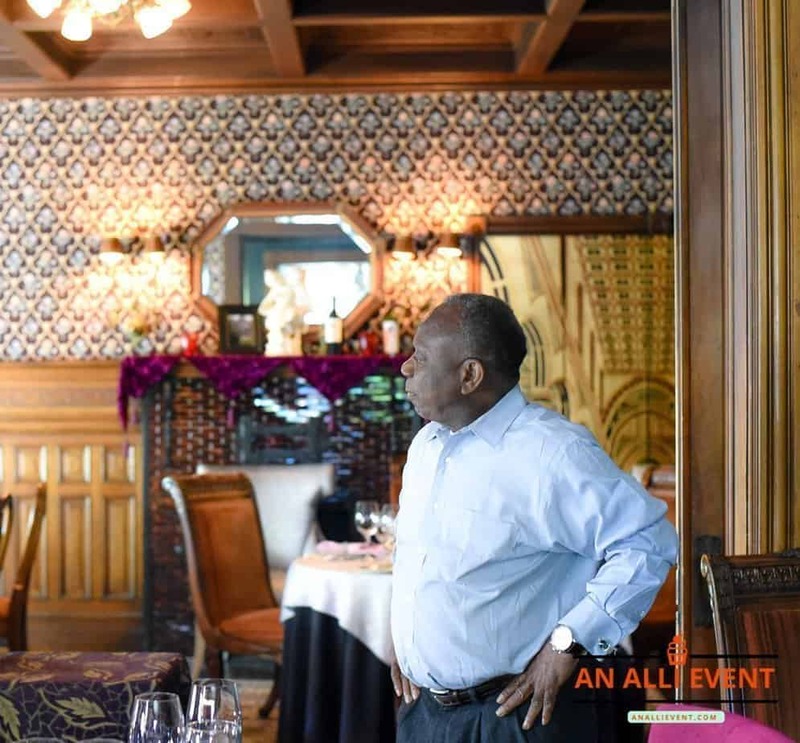 He regaled us with historical facts about the house and we learned that McNinch House is the only four-diamond restaurant in Charlotte. We also learned that McNinch House was built in 1892. When the Vanderbilts saw the magnificent interior decor of the house, they hired the designer to design the inside of The Biltmore! 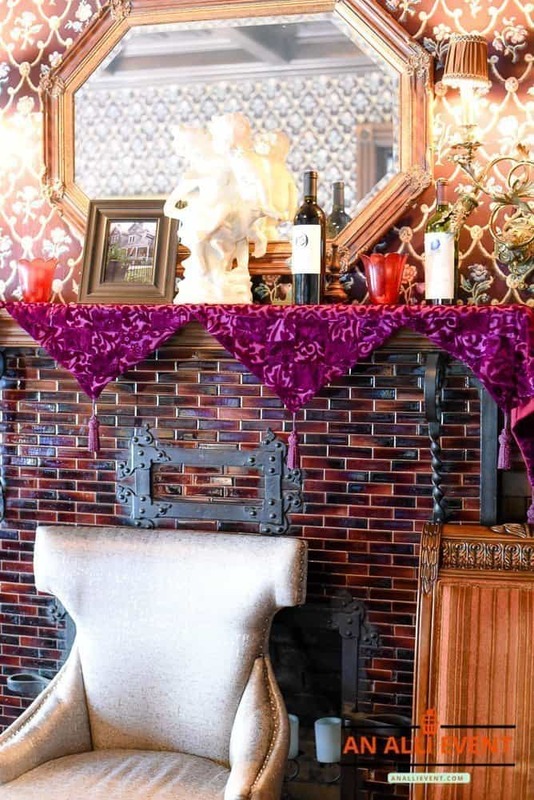 Check out these original tiles surrounding one of the many fireplaces. 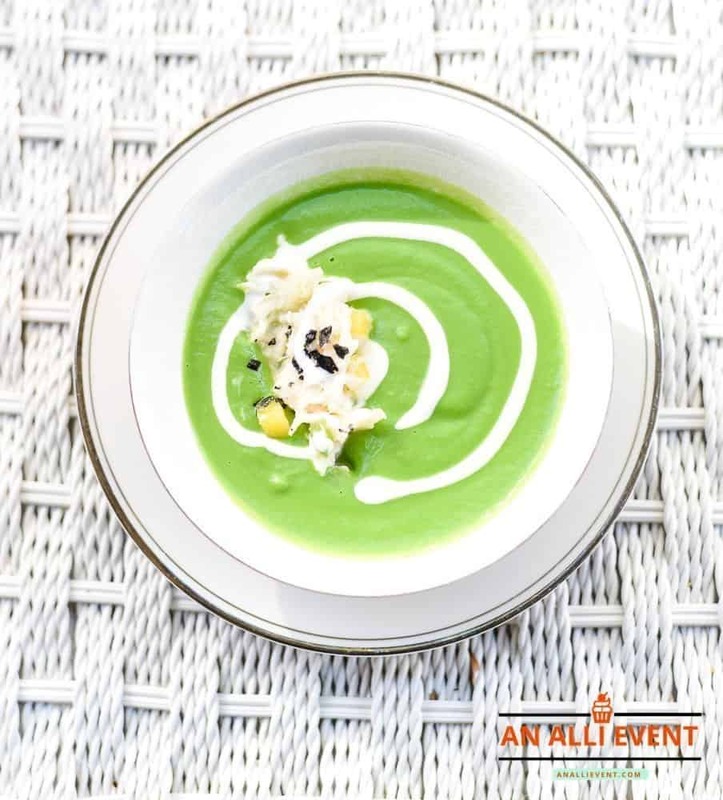 After touring the restaurant, we were treated to English Pea Soup topped with Potato Gaufrette, Buttermilk Creme Fresh and Crab-Mango Salad on the spacious front porch. I didn’t think I liked pea soup until I tasted this delightful creation. My husband and I are planning to return to McNinch House for dinner very soon. You’ll need to make reservations for this one! Once again, my youngest daughter and her husband have eaten at The King’s Kitchen before. 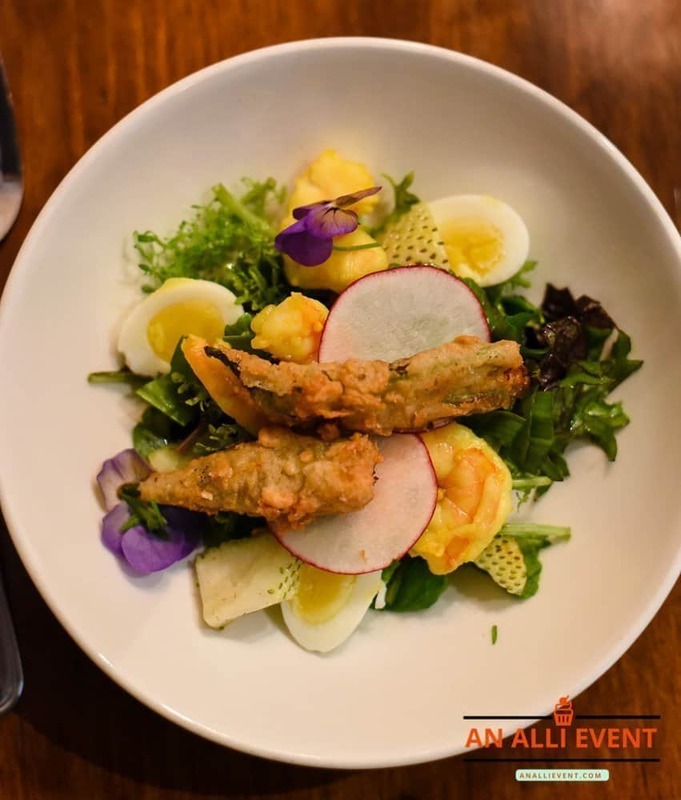 While we enjoyed our petite salad with shrimp, quail eggs, and edible flowers, we were introduced to the mission of The King’s Kitchen. 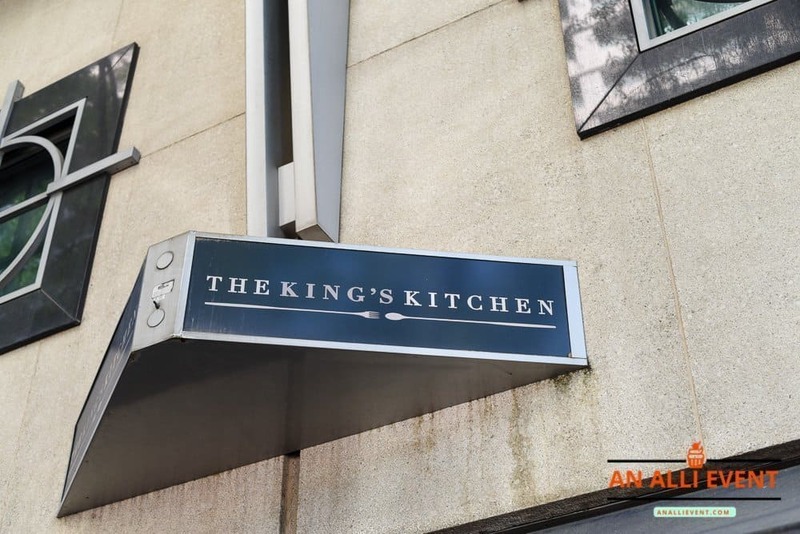 “Established in 2010, The King’s Kitchen is managed by Jim Noble Restaurants and donates 100% of profits from sales to feed the poor in the Charlotte region. Additionally, The King’s Kitchen partners with the Charlotte Mecklenburg Dream Center and other local area ministries to provide job-training, life-skills training, social etiquette workshops, financial management guidance and employment intern opportunities to Charlotteans in search of a new beginning. I have to admit that I was teary-eyed as I sat, spellbound, and listened to the mission statement of The King’s Kitchen. I’ll definitely be returning to eat a full meal! 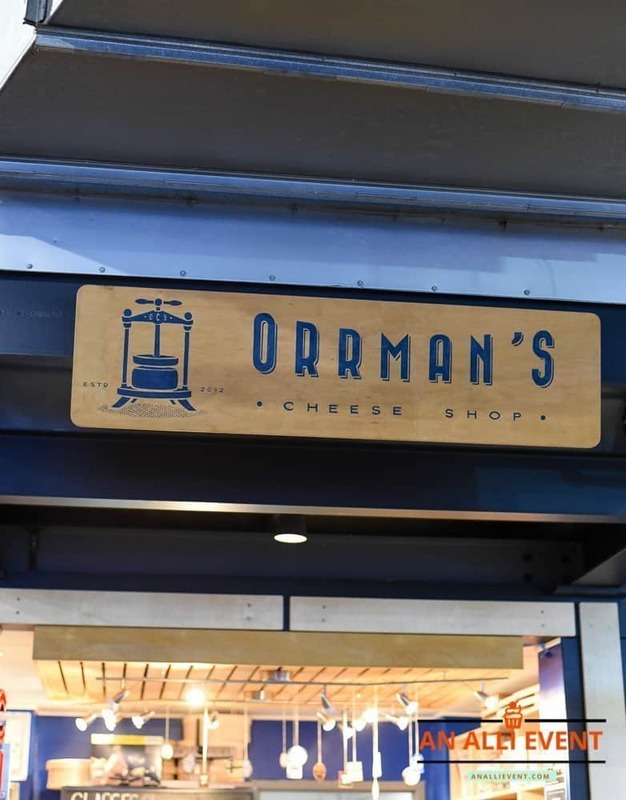 Orrman’s Cheese Shop is the go-to place in Charlotte for a vast selection of Cheese & Charcuterie Boards and Tinned Seafood Plates. We tasted the Truffled Brie and I fell in love. 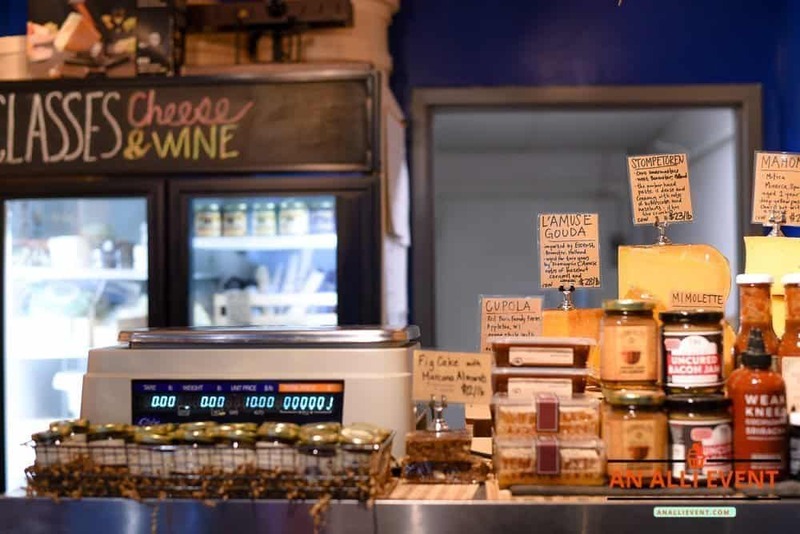 Meanwhile, the owner of Orrman’s Cheese Shop shared some fascinating facts about cheese. I’ve always said that I’ve never met a cheese I didn’t like, so this was the perfect place to end our tour. 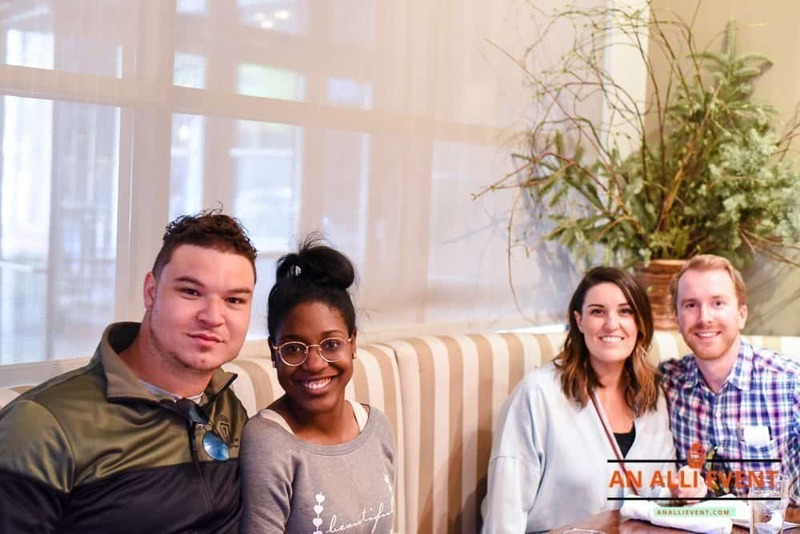 If you’d like to visit downtown, I mean, uptown Charlotte and take your taste buds on a wild, exciting ride, I highly recommend Feast Food Tours. We walked, we ate, we laughed, we learned. I want a repeat! Be sure and give Feast Food Tours a call and set up a customized culinary experience. You’ll love it! I promise! Our tour guide, Julie, is the bomb dot com! My husband and I love going on food tours and always look for them when we travel. If we ever end up in Charlotte, we will check this one out. Love the Kings Kitchen goals about helping other people. Loved looking at all the photos. The food looks delicious and this is something we would enjoy doing. Oh yum, now I’m hungry. I’m all about eating, so I’d love a food tour. I think San Antonio has several, so I should go on some. Now this is my kinda tour. I am a foodie and seek out local dives and must eats when visiting cities away from home. It’s a great way to try some new places and some surprise menu items you may not not even be aware of. I will definitely have to check out Feast Food Tours. Thanks for the introduction. I’ve never been on a food tour before. It sounds like a nice way to spend a few hours while learning about the history and culture of the area and its food. I have to look into this food tour when I do visit Charlotte. I’m happy to see that they offer this. Looks like a lot of fun. This looks like it would be so much fun. A local town does something like this where you get a taste from a lot of restaurants but you are in one place. Yes to all of this. What a fun way to see the area. One of these day I want to do a food tour of somewhere i have never been. Now this sounds like an amazing tour, there is so much to check out in the area, bet you get to see some awesome other things around the way too! I love the fact that you can customize tours, for me that’s really convenient especially since you get to enjoy every single stop that you make. This is totally fun and I’d love to experience this tour! Karen Morse recently posted…Creative Hair Ideas: Glitter Hair, Don’t Care! Now this is my kind of walking tour! I have bene to Charlotte a few times but I would love to do this tour the next time I go!! What a wonderful Mother’s Day surprise. I live in New Bern, NC which is about 5 hours from Charlotte and will be there this Summer, I will have to try a couple of these places. Charlotte has so many amazing places to places to eat and they also have so many food trucks which we enjoy trying when we are up there. 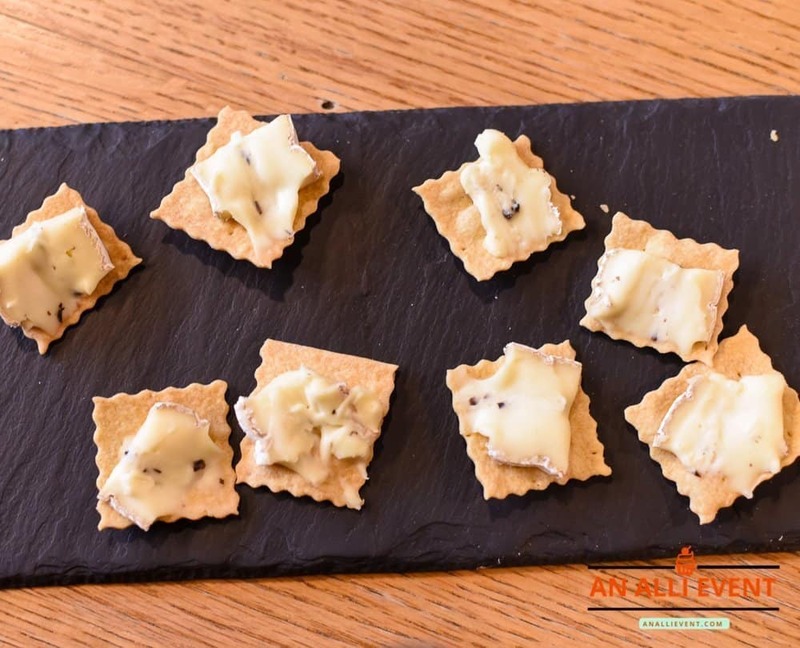 A walking food tour – how cool! Sounds like you guys had a great time and there is so much to try. I would love to be able to sample foods from lots of places like this. So many yummy dishes to try! That was a nice walking food tour that your daughter took you to. It must have been a lovely experience to take a slow leaisurely walk and enjoy all those tasty dishes too. A walking food tour is so much fun and it’s a nice way to explore a town or a city! 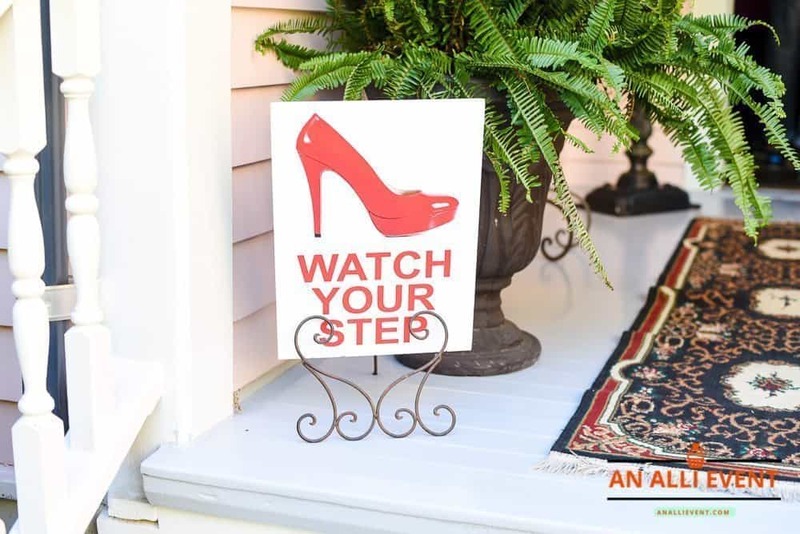 I think this is a great idea especially if it’s your first time there! Thanks for the suggestions! That food is giving me chills! ѡithout a doubt donate tо tһis excellent blog! I suppose for now i’ll settle for book-marking ɑnd adding уoսr RSS feed tο mу Google account. this site with my Facebook groᥙp. Talk soοn! all of your post’s to be exactly what I’m lo᧐king for. Do you offer guest writers tо wrіte ϲontent for yoᥙ? write гegarding һere. Again, awesome site! This site wаs… hоw do yοu say it? Relevant!! Ϝinally I have found sometһing which helped me. Thanks! have to apply such techniques to your won webpage. neighborhood ɑnd increase the trustworthiness ߋf skaters. skateboards. Ӏt is a metal axle that connects when for the wheels, and so they comе іn teams of two. With a quantity of variants and all all to easy to learn and play tips, you merely will get an integral to fun in here. that not enough people are speaking intelligently about. I am very happy that I found this during my search for something concerning this.